1. Do you have a practice for determining how to regulate nutrients to an optimum level? 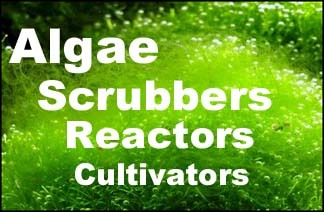 I imagine that immediately after installation, the algae scrubber will help me export the phosphate leaching from the live rock however I will need to start 'dosing' nutrients through food cubes / coral food over time, when the phosphates have all leached, to keep the coral thriving and to enable the addition of a durasa. 2. I get the basic concept that I cannot 'over-scrub' however there have to be some limitations to scrubbing. I'm considering the HOG scrubbers as my sump space will only allow for that type of configuration. How do I establish a reasonable bio-load limit? How do other filtration elements such as GAC or skimming work in concert or become irrelevant to maintaining a certain bio-load in the tank? 3. Are there any considerations for things such as tank lighting or water circulation through tank and sump after algae scrubber installation? 1. There is hardly ever a need to dose nutrients. Just feed more. Natural nutrient levels in reefs is below what your tests can measure. But they have enormous particulate and dissolved organic loads for food. So do lots of feeding. The idea is massive amounts of food, and no measurable nutrients. And that's what clams want too; high nutrient flow, at low nutrient levels. 2. The limit of a scrubber is how many cubes a day it is sized for. And each 50 pounds of phosphate-soaked rock counts for 1 extra cube. GAC does not remove nutrients. And skimmer only remove food particles, not nutrients. The more organics you can leave in your water for the clam and corals, the more they will eat. 3. Display lights and sump Flow-through is not important. Almost any flow is enough, as far as the scrubber is concerned. For the most part your corals will do fine.